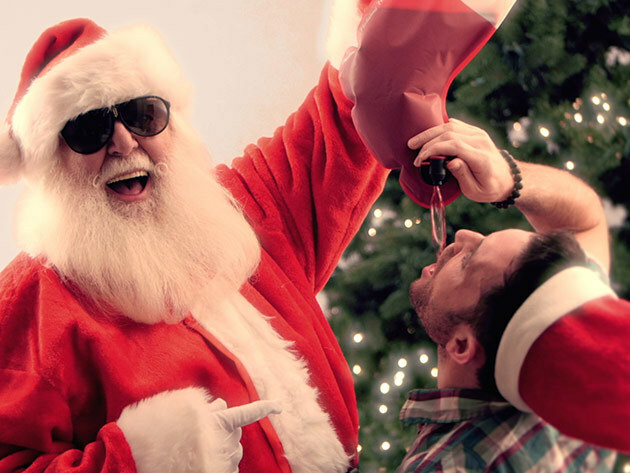 Santa's Stocking Flask Is Our Kind Of Flask | OhGizmo! By David Ponce on 12/15/16 • Leave a comment! Look, you can hang stockings on the fireplace mantel and fill them with useless doodads no one really likes. 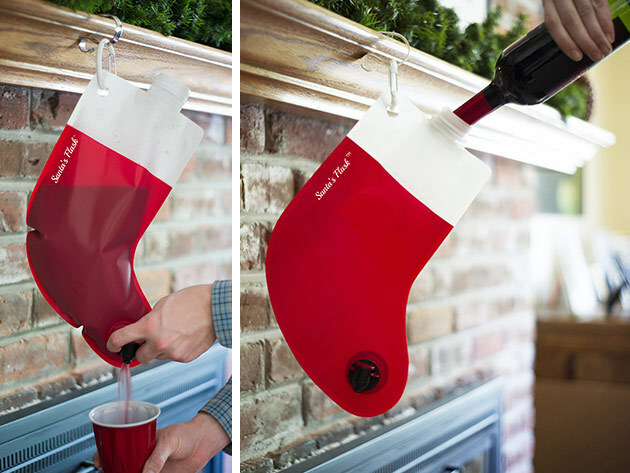 Or, you can try to live life a little and hang this, ‘Santa’s Stocking Flask’ instead. It stores up to 2.25L of whatever party liquid you want to put in there, and there’s a handy tap at the bottom for easy dispensing. While college students around the US play Slap the Bag to ring in the new year in darkness, elves up in the North Pole are Slapping the Stocking to celebrate another Christmas success. This year, however, the elves are sending stockings down south before the holidays to liven up all your festivities! These BPA-free stocking-shaped flasks will be the hit of the holiday party, although we don’t recommend bringing them to your CEO’s house.